Sushma Swaraj said on Monday that India has always engaged with China and "we are doing it for NSG as well. And (it is being done) not only by us, but even nations friendly to us as well as enjoying good relations with China, who feel that India should get an NSG membership." Beijing: China today said it is in touch with Russia over India's entry into the elite Nuclear Suppliers Group or NSG, but made it clear that its position on the issue remains "unchanged." Chinese Foreign Ministry spokesperson Hua Chunying's comments came a day after External Affairs Minister Sushma Swaraj said that India is engaging with Moscow and making efforts to convince Beijing on the issue. "China and other members including Russia maintained close communication and we also maintain that we should act in accordance with the principles of the NSG," Ms Hua told media. "The application for accession by non-NPT countries is a multi-lateral question and should be addressed on the basis of consensus of the NSG members," Ms Hua said when asked to react to Ms Swaraj s comments. "We have stressed our position many times on this issue. Our position remains unchanged," Ms Hua said, reiterating China's two step approach - first to reach a non-discriminatory resolution that applies to all non-NPT countries and then to discuss the application to non-NPT countries. China, she said, wishes to conduct a "constructive discussion" at the NSG plenary session this month in Bern, Switzerland. Ms Swaraj said on Monday that India has always engaged with China and "we are doing it for NSG as well. And (it is being done) not only by us, but even nations friendly to us as well as enjoying good relations with China, who feel that India should get an NSG membership." Giving Russia's example, Ms Swaraj said Moscow feels that India should be a part of the NSG and UN Security Council. 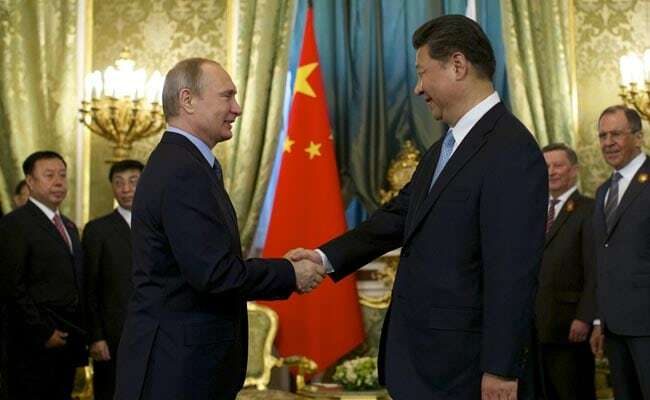 "So we feel, since Russia and China share good relations, it should talk to China. We are not asking them to put pressure on China, but use its good offices. Our effort is to convince China on the issue and also involve nations friendly with both the countries," the minister added. Pakistan too has applied for the NSG membership after India's application, following which China came up with the two step approach, thereby blocking India s entry. On the concerns expressed by Ms Swaraj on the $50 billion China-Pakistan Economic Corridor, which passes through Pakistan-occupied Kashmir, Ms Hua said, "we also stressed many times that the Kashmir issue is one left behind by history between India and Pakistan, and should be addressed properly through negotiation." The China-Pakistan Economic Corridor or CPEC is part of China's Belt and Road Initiative (BRI). "The CPEC is an economic corridor and not targeted at any third party and has nothing to do with any territorial dispute. It will not affect China's position on Kashmir," she added.